If you live in certain areas with greater odds of flooding and have a mortgage, federal law may require you to have flood insurance. But even if you're not required to have flood insurance your home could still be at risk. Additionally, homes near open bodies of water, lakes and streams are prone to flooding. However, homes several miles away from the coast may also flood due to significant rain water runoff. Flood insurance covers the structure of your home and your personal property from, flood damage. But here's the thing; regular water damage and flood damage can be separate, specific conditions when it comes to property insurance. Make sure you don't end up taking a bath in the event that your home sustains damage: talk to your Lighthouse Insurance agent today to make sure you're properly insured when it comes to the various kinds of water-related damage. Most flood insurance policies require a 30-day waiting period before the coverage is effective. Exceptions are only made for a few specific circumstances such as if you've purchased a new home and the closing is in less than 30 days (lender required). So make sure you're prepared; get a flood insurance quote today! Give us a call at (516) 216-5600 to learn more or visit us at a local branch location. Flood policies must be paid in full. In many instances the payment can be rolled into your mortgage. Give us a call at (516) 216-5600 to learn more or visit us at a local branch location. You should call your insurance company first. The standard flood insurance policy provides coverage for one building per policy. The only exception is 10 percent coverage for a detached garage. However, the total payment for flood damage to the detached garage and the house together cannot exceed the building policy limit. For coverage to apply, the garage can only be used for parking and storage. Policy limits for residential properties are $250,000 and $500,000 for commercial properties. Contents are not automatically included. If contents coverage is desired a specific amount must be named and a separate premium charged, but it doesn't need to be a separate policy. Contents coverage limits are $100,000 for residential policies and $500,000 for commercial policies. A basement is defined as any area that is below grade on all four sides. In some cases, sunken living rooms can be defined as a basement. Building coverage in basements is limited to systems that service the building, such as electrical boxes, heat pumps and air conditioners. Cleanup, as well as contents in basements are covered with a few exceptions such as a washer, dryer, freezer and the food in it. Damage from mold and/or mildew resulting from the effects of a flood is covered but each case is evaluated. Mold and/or mildew conditions that existed prior to a flooding event are not covered. After a flooding event, the policyholder is responsible for taking reasonable and appropriate actions to reduce and eliminate mold or mildew. If the damage was caused by a flood. No. There is no coverage for landscaping, trees, decks or outdoor furniture. Ask your adjuster to work with your contractor if your disagreement involves the building claim. If you cannot agree with your adjustor, ask for assistance from his supervisor. If you cannot resolve your differences, contact your insurance company. 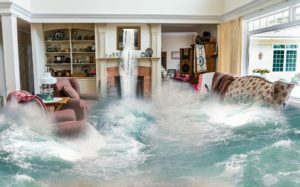 If I do not have flood insurance but would like to purchase it, what do I do? Call an agent at (516) 216-5600. Flood insurance is available to any homeowner or business owner who lives in an NFIP-participating community. These are communities that have agreed to pass and enforce certain storm, water and floodplain management ordinances.